"When I first saw Flash Gordon, it changed my life." Cleopatra Entertainment has released a trailer for the indie documentary Life After Flash, which premiered at a film festival last year and is opening later this month for those curious about it. Directed by Lisa Downs, Life After Flash looks at the roller coaster life of actor Sam J. Jones since his role as Flash Gordon, his struggles and successes, and the aftermath of when he went up against one of the most powerful producers in Hollywood. Flash Gordon was Jones' second role in a feature film and a big breakout for him, but he struggled to get any good work after it. The doc is half about Jones, and half about how Flash Gordon became an icon of the 80s. Looks a bit cheesy, for fans only. 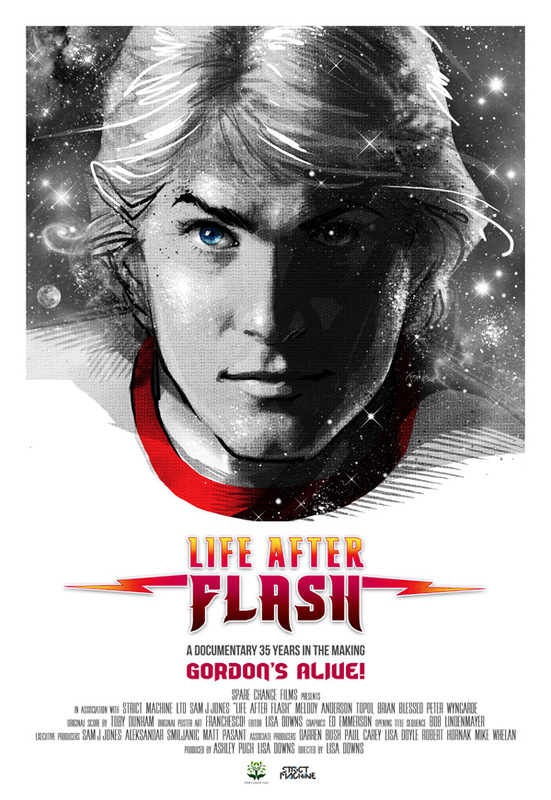 Life After Flash explores the life of Sam J. Jones since his iconic performance as 'Flash Gordon' in the 1980 classic of the same name, and the aftermath of the young stars' clash with one of Hollywood's biggest legends, producer Dino De Laurentiis. The film is an inspiring and moving feature documentary that celebrates what makes that Mike Hodges enduring classic so iconic with audiences to this day, and looks at the real man behind the heroic mask: his successes, his battles, his ultimate struggle for redemption. Life After Flash is directed by filmmaker Lisa Downs, director of the feature film Just Ate previously, and Life After the Navigator coming up. This premiered at the Edinburgh Film Festival last year. Cleopatra Ent. will release Life After Flash in select theaters + on VOD starting February 26th later this month. Curious?